Great for Holiday gift giving or any occasion! 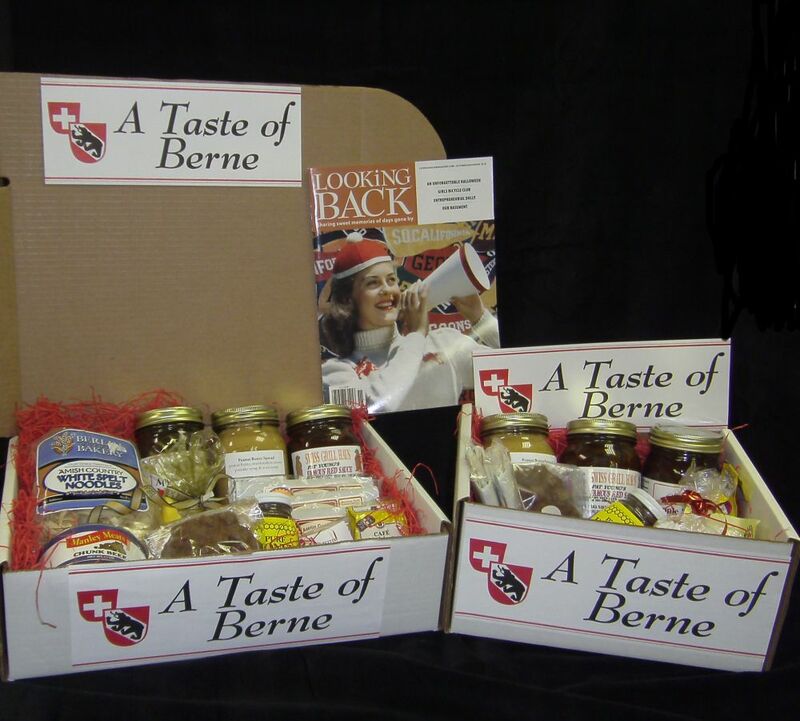 Now, you can order a specially prepared “Taste of Berne” gift box, filled with a large variety of delicious foods from Berne. Each item contained in our “Taste of Berne” gift box was specially chosen for its unique appearance and quality. All of the products chosen for “A Taste of Berne” are either produced or distributed from the Berne community. Then choose the option below that works best for you. Still have questions? Call us for more information at 260-589-8080. For a listing of ingredients, please click on either large or small. Swiss Bucks make a great gift for co-workers, friends and family. Swiss Bucks can be purchased in $5 and $10 increments. These gift certificates can be redeemed at over 75 locations in Berne. Give the gift that fits every size and preference, never needs to be returned and puts money back into the local economy. 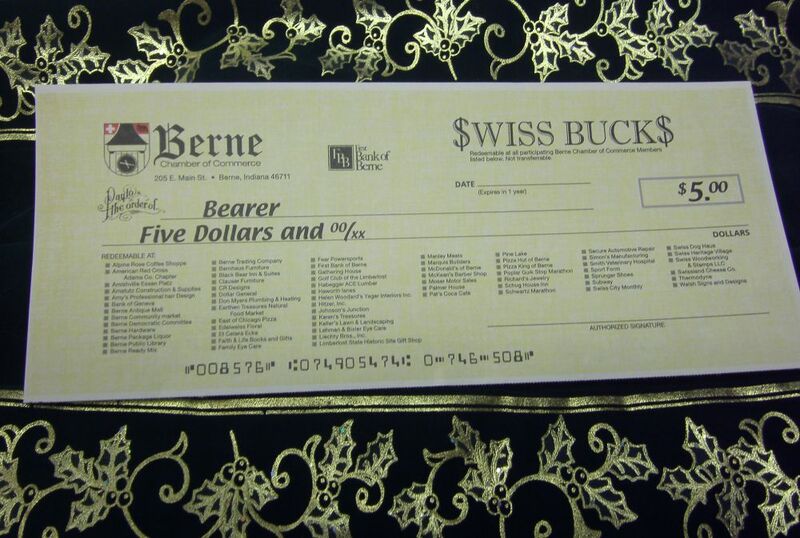 Swiss Bucks can be picked up at the Berne Chamber of Commerce, Mon. – Fri. 8am – 5pm. For additional information, please contact the Chamber office at (260) 589-8080. You may pay for your Swiss Bucks via cash or check at the Chamber office. Helen Woodard’s Yager Interiors Inc.
*Any businesses that are in good standing with the Chamber can accept $wiss Buck$, even if they are not listed on the check.